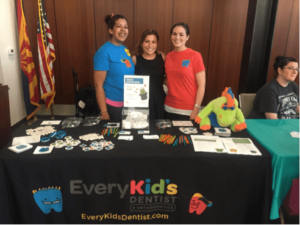 Dr. Bienstock and Every Kid’s Dentist attended the 1st Annual Autism Expo on Saturday, March 19th. Presented by the Arizona Autism Coalition, the expo was held at the Ability 360 Center in Phoenix, and featured dozens of exhibitors, including Every Kid’s Dentist. This was a fantastic event, and Dr. Beinstock was honored to be a part of the expo. Workshops were offered every hour, including “Top 10 IEP Tips”, “Autism 101 – How to Access DDD Services”, and “Transition Planning”. 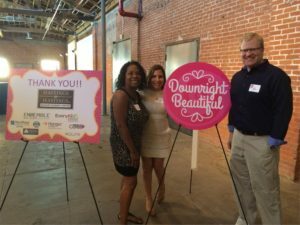 This was a completely free event for families to help them connect with local service providers, supports and resources in Arizona, and there were door prizes and food trucks on site to make it a fantastic day all around!